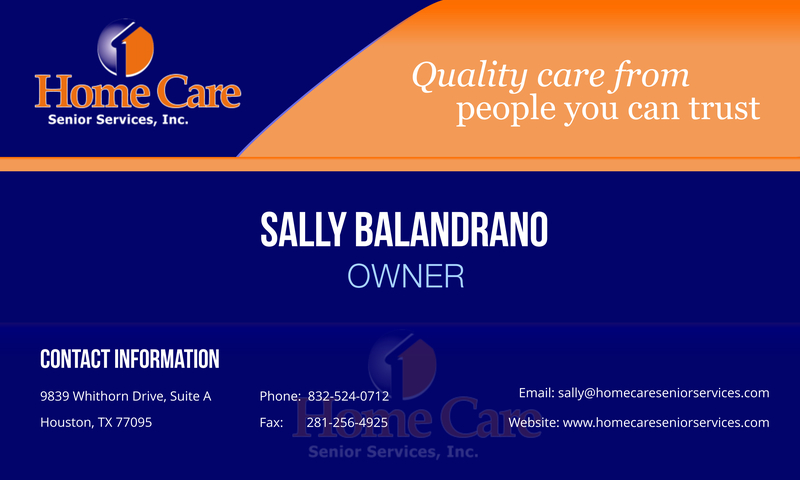 Please give us a call to inquire further about health care services brought to you or your family member at home. We have friendly staff who are ready to address your inquiries and respond to your care requests as soon as possible. You can reach us at 832-524-0712. Continued care for patients in their homes. TestimonialsRead through our client’s good words. Download BrochureGet a copy of our electronic brochure. Download FlyerGet a copy of our electronic flyer. Download Business CardGet a copy of our electronic business card.